062618: We’re at UFOHQ = Friday, Sonoma = Saturday, Sunday = County Fair! Ok, I know I left the blog here somewhere . . .
Another busy, but fun, weekend on the horizon for us. Beginning with our usual Friday Night Kanikapila at the UFOHQ. 7 – 10pm, BYPotLuck, BYMusicStands, BYAllForOne&StrumForAll Attitude. We’ll be “practicing” the songs for the County Fair, though it’s really nothing new for anyone. 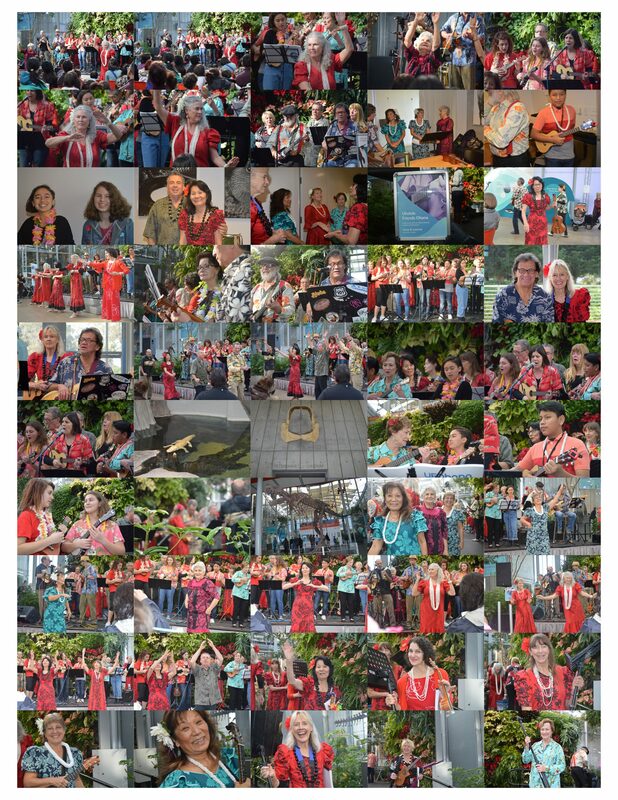 Saturday is our monthly Kanikapila at the Sonoma Valley Women’s Club. See below for details . . . THIS SUNDAY: July 1st, we are at the County Fair! Woohooo! Again, we’re performing at the 3 Twins Solar Stage, 2 -2:45PM. Bring a music stand, your Ukulele, Sun Gear (it’s going to be a scorcher! ), and stay HYDRATED! I will be providing Flight Manuals for both the Ukulele Pilots and the audience. Speaking of which, we can use some ‘Ukulele Plants/Ringers/Players’ out in the audience driving everyone into an writhing mass of Ukulele Frenzy! Or, just help pass out some Flight Manuals? Please come see me if you’re interested on Fair Day. STAGE CALL TIME: Be sure to be at the Stage no later than 1:30PM. We’ve only got 45 minutes, which includes setup time, so I want everyone’s music stand all setup, and your Ukulele at the ready to maximize our PLAY/FLIGHT TIME. All cases and non-essential gear should be stowed in the overhead bins . . . uh, make that the back stage wall instead. I’m thinking we may have three rows, with space up front for Dancers. Space will be limited so please share your stand and Flight Manual with a co-pilot. Please be kind to your vertically challenged co-pilots and allow them stand in front if you’re one of the vertically gifted. Please note, I’ve reserved the front row for our core band and our Keiki. PARKING: As Marion explained at last week’s Friday Kanikapila, FREE parking for the Fair is available at 1600 Los Gamos Driven and a Round Trip Inter-island Shuttle service to the fair is available for only $2! See Map below, or you can take your chances in the parking lot around the Civic Center for $20.
. . . here’s one of the Shuttle Services below . . . NOT! It’s the new Gig Plane for UFOhana. . . NOT! It’s actually the 1st plane Nohea served on as a flight attendant . . . NOT! Well she did work for TWA . . . TRUE DAT! Ah, bub-bye . . .
Btw, if you haven’t already, please remember to thank Marion for making this our 8th (?) year of performing at the Fair. It’s been one incredible FUN ride, Mahalo Nui Loa Marion! Okidoki that’s about it for me . . . time for moemoe . . . yawn. You know, it’s almost 8. I don’t see any Kibbles around here, have you fed your cat yet? So sorry to miss the big performance again this year! I could have been there on Monday, but not Sunday. Phooey. And sorry I haven’t been to sing with you all for a while… hopefully sometime soon. You are all in my hearts and I wish you great success, as usual, as you wow the fair-goers. Sending much love and aloha to you all. Joanie, Mahalo Nui for the kind words and Aloha. Hope to see you soon!